The sheer number of LEGOs required is mindboggling. If LEGO keeps up the car builds, will we start seeing a whole fleet of them someday? Well, that might not happen, but the sheer number of actual full-sized vehicle builds by the toy brick brand is astounding considering the amount of work that goes into them. The Senna is named after famed F1 driver Ayrton Senna. They've done a Chevy Silverado, a driveable (but very slow) Bugatti Chiron, a Volvo XC90, a Ford Explorer, a McLaren 720S, and a Batmobile, just to name a handful. 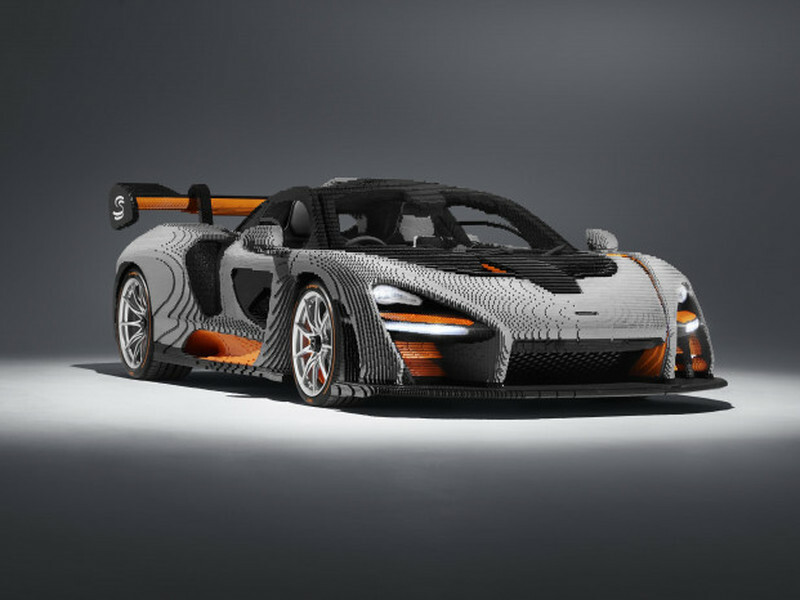 McLaren has now commissioned a full-scale LEGO version of the track-focused Senna, and it's spectacular. The wheels and tires are real, but those rotors and calipers are 100% LEGO. There's a lot going on here, from the working headlights and taillights, as well as the massive spoiler and rear diffuser. Aside from the thousands of bumps and jagged edges, it looks like the real deal. The full-scale model took a whopping 5,000 hours to put together and over half a million LEGO pieces, considerably longer than hand-building an actual Senna, ironically. It's also a lot heavier than the actual car, coming in at 3,348 pounds. Your driving partner might not like his less than comfy seat. The functioning dihedral style doors open up to a full interior that has a real driver's seat from the actual car and a more painful LEGO passenger seat. The steering wheel is real, and you can also operate the lights, work the functioning infotainment system, as well as press the start button to fire up the simulated engine sound. Don't get your hopes up since there's no working engine. Regardless, this is one impressive piece of LEGO artwork. What will they come up with next?